When it comes to kid food, I think the number one thing that comes to mind is pizza. Well, that and mac and cheese and peanut butter and jelly and chicken nuggets. But pizza is the number one favorite food for most kids, including my nephew! Heck, to this day I crave a good slice of pizza on a regular basis! Recently, when babysitting my nephew we made pizza together. We cheated and used Italian rolls for the crust (because that’s what my sister had on hand), and my nephew had a ball spreading on the sauce and putting on the toppings. I think for every one pepperoni that made it on our pizzas, one was popped into his mouth and he gave me one to eat (sharing is caring!). 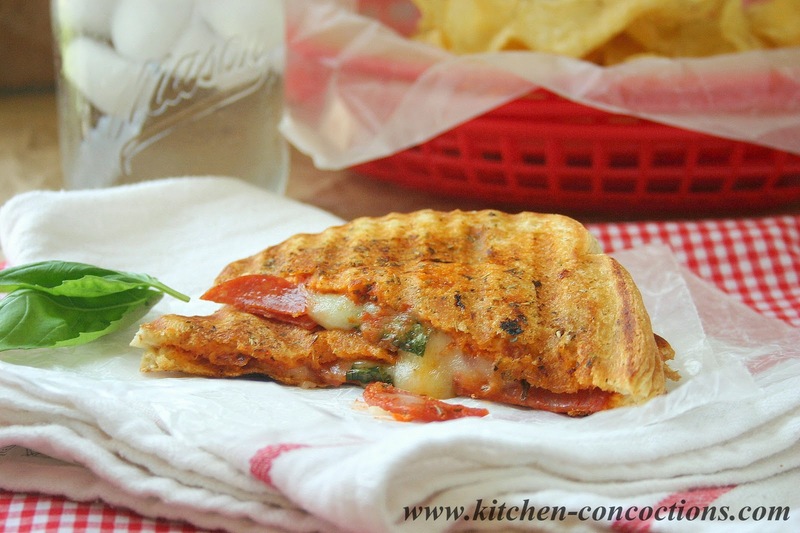 This Pepperoni Pizza Panini is inspired by those pizza hoagies we made that day and those classic English muffin pizzas that we all grew up making (check out this other favorite twist on a pizza, Pepperoni Pizza Pita Pockets)! All the classic pepperoni pizza flavors sandwiched between good Italian bread with all the fixin’s of a tasty slice of pizza. Kids and adults alike will love this quick and easy, no fuss meal that whips up in under 10 minutes! In a small bowl mix together softened butter, garlic powder and Italian seasoning. Spread butter mixture evenly on outside of each slice of bread. Place on cutting board. Spread approximately ½ tablespoon pizza sauce on the opposite side of each slice of bread. Place one slice of mozzarella on top of pizza sauce. Arrange pepperoni in an even layer on top of half of the slices of cheese covered bread. Top pepperoni with basil leaves. Place remaining four slices of bread, butter side up, on top of basil leaves to form sandwich. 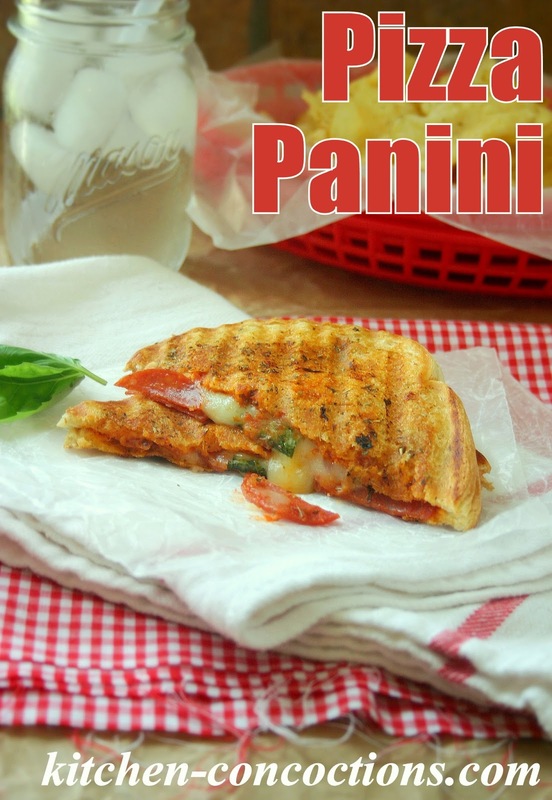 Place sandwich on preheated panini press. Close press and cook for 3-5 minutes or until hot and crispy. Serve immanently. NOTE: This recipe is easily adaptable and can be made with other classic pizza flavor combinations. Try using roasted veggies, Canadian bacon and sliced pineapple, sausage, etc.